Bar Bones Skull Cocktail Picks are the perfect spooky tool for spearing garnishes. Crafted from polished stainless steel, ensuring longevity of sharpness for harpooning those garnishes for your potent cocktail mixes, these skull picks add some grim style to your frightfully themed parties. You can gift a set to your friend who's humor is maybe a bit bleaker than most, or keep them for your own crypt themed home bar. 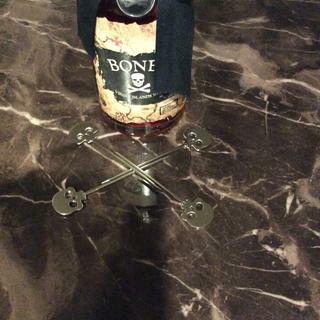 Either way, grab a set of Bar Bones Skull Cocktail Picks today! 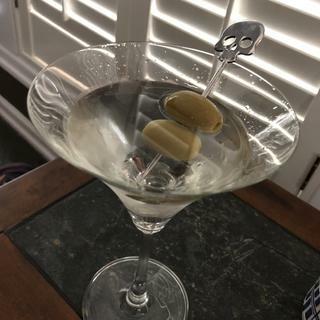 Love these olive martini picks. These were exactly what I needed. I was looking for cocktail picks to fit my home bar. As my nickname is on the bottle, these were the perfect picks! I will be ordering more. They are sturdy, shiny, and only about an ince rom so shorter than my highball glasses. They are unique and will make the perfect gift for a man that is hard to buy for.